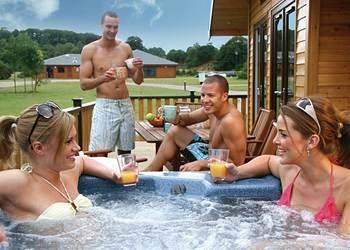 Herbage Country Lodges in Woodham Walter, Maldon sleeps between 4 and 8 people, with the accommodation being lodges. Herbage Country Lodges are superbly located amidst the lush rolling landscape of the ancient Saxon County of Essex and are ideally positioned to explore the many delights of Constable Country. Nestled in 54 acres of idyllic countryside and woodland, each lodge sits harmoniously alongside the idyllic natural environment. Sit back and watch as rabbits and squirrels run free and marvel at the native deer grazing on the horizon; all this and just under an hour from central London. Each lodge has been carefully furnished to meet the needs of the most discerning visitor. The well designed interiors afford plenty of space and superb comfort with large windows making the most of the beautiful uninterrupted country views. Generous external decking areas are appointed to each lodge with high quality outdoor furniture and some with sumptuous outdoor hot tubs. The local area is home to a diverse mix of stunning landscapes from lush rolling hills and picture postcard villages with pretty thatched cottages through to sandy beaches and trendy marinas; in fact nearby Burnham on Crouch is often referred to as the ‘Cowes of the East’ and is alive with yachts in boating season. The nearby town of Chelmsford is only 6 miles away and offers a direct train service to London in only 35 minutes. If you want to find out what other people have said about Herbage Country Lodges, read the reviews on Herbage Country Lodges for more information. And, for those last minute bargains, have a look at some of the special offers available at Herbage Country Lodges. Luxury contemporary lodge. One double with ensuite bath and shower and one twin with ensuite shower. Spacious open plan lounge/kitchen. Decking with garden furniture. No pets. Superior timber clad lodge with one double with ensuite shower and one twin. Contemporary family bathroom with bath and shower. Spacious and airy open plan living/kitchen area with French doors leading out to decking area. No pets. Brand new for 2010. Superior contemporary lodge with one double with ensuite shower and one twin. Family bathroom with bath and shower. Spacious open plan kitchen/dining area. Living room with french doors leading out to decking with private outdoor hot tub. No pets. Brand new for 2010. Superior designer lodge offering outstanding luxury with one double with ensuite shower and one twin. Family bathroom with bath and shower. Spacious open plan kitchen/dining area. Living room with french doors leading out to decking with private outdoor hot tub. Adults only. No pets. Contemporary lodge with one double with ensuite shower and one twin. Verandah. Outdoor hot tub. Superior designer lodge with one double with ensuite shower and One twin. Bath and shower. Spacious open plan kitchen/dining area with central peninsula. Living area with french doors leading out to decking with outdoor hot tub and spectacular views. No pets. Luxurious and well equipped lodge. One double with ensuite shower and one twin. Additional family bathroom with bath and overhead shower. Spacious open plan living/kitchen area with French doors leading out to decking with outdoor hot tub. Superior designer lodge with one double with ensuite shower and one twin. Bath and shower. Spacious open plan kitchen/dining area with central peninsula. Living room with french doors leading out to ample decking with outdoor hot tub and spectacular views. No pets. Luxury lodge. One double with ensuite shower and one twin. Family bathroom. Open plan lounge/kitchen. Decking area with hot tub. No pets. "Outstanding contemporary lodge. One double with ensuite bath and shower, one twin with ensuite shower. Spacious open plan lounge/kitchen. 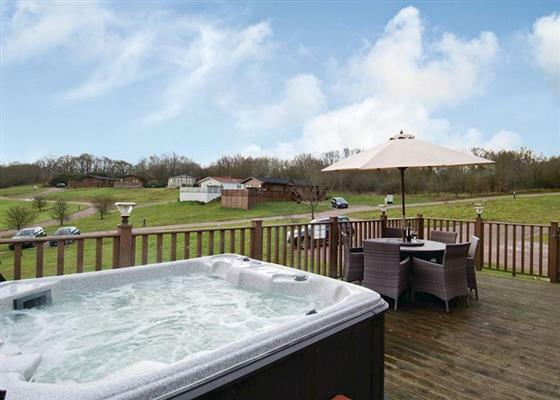 Large decking area with private outdoor hot tub." "Superior, luxurious lodge with one double with ensuite shower and two twin. Modern family bathroom with bath and shower. Spacious, well equipped living/kitchen area with French doors leading out to decking with outdoor hot tub." Brand new in 2013. Superior lodge offering outstanding luxury with one double with ensuite shower and two twin. Bath and shower. Spacious open plan kitchen/dining area. Living room with French doors leading to decking with outdoor hot tub. Spectacular views. No pets. Superior designer lodge with one double with ensuite shower and two twin. Bath and shower. Spacious open plan kitchen/dining area with central peninsula. Living area with french doors leading out to decking with outdoor hot tub and spectacular views. No pets. Outstanding contemporary lodge. One double with ensuite shower and walk in wardrobe and two twin. Additional family bathroom. Spacious open plan lounge/kitchen. Large decking area with private outdoor hot tub. Luxury and contemporary lodge with one double with ensuite shower and one twin. Modern bathroom with bath and shower. Well equipped open plan living/kitchen area with doors leading out to decking with outdoor hot tub. "New in 2011. Superior, luxury and contemporary lodge with one double with ensuite shower and two twin. Bath with overhead shower. Spacious open plan lounge/diner/kitchen with french doors leading onto decking area. No pets." Outstanding contemporary lodge. One double with ensuite and two twin. Family bathroom. TV and DVD in all bedrooms. Open plan lounge/dining/kitchen area. Utility room with washing machine. Verandah with hot tub. Luxury and contemporary lodge. One spacious double with ensuite shower and two twin. Additional family bathroom with bath and overhead shower. Open plan living/kitchen area with doors leading out to decking with outdoor hot tub. 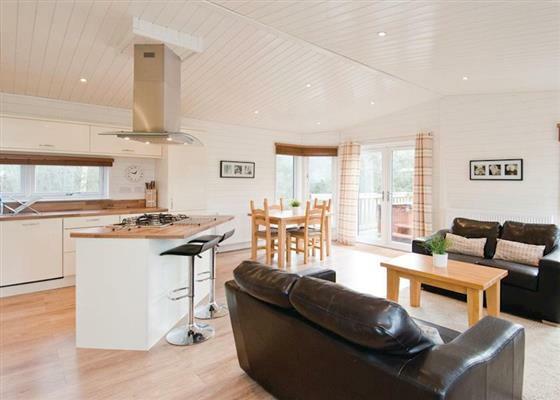 "Stunningly designed lodge with two spacious doubles, one with ensuite shower and two twin. Modern family bathroom with bath and overhead shower. Spacious modern open plan living/kitchen area with doors leading out to decking with outdoor hot tub. No pets." New in 2013. Superior designed lodge. One double with ensuite shower and two twin. Bath with overhead shower. Spacious open plan kitchen/dining area. Lounge with French doors to decking with outdoor hot tub. No pets. Find out about Herbage Country Lodges, including prices and availability. There aren't currently any special offers at Herbage Country Lodges however, the special offers shown below are all on parks within 30 miles of Herbage Country Lodges - so you may find these useful. Holiday at Finch in Essex starting on Saturday 01 June 2019 for 7 nights. Holiday at Kingfisher in Essex starting on Saturday 01 June 2019 for 7 nights. Holiday at Robin in Essex starting on Saturday 01 June 2019 for 7 nights. Holiday at Westcliff in Essex starting on Saturday 01 June 2019 for 7 nights. 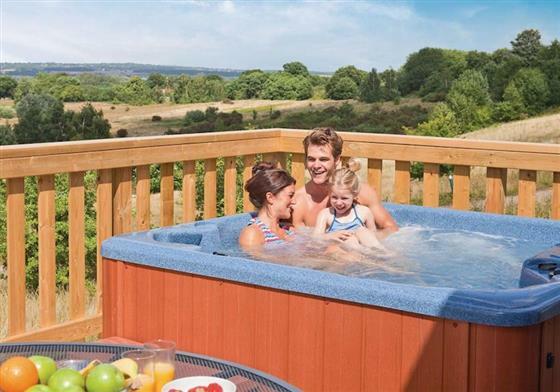 Holiday at Sunflower in Essex starting on Saturday 08 June 2019 for 7 nights. Holiday at Kingfisher in Essex starting on Saturday 08 June 2019 for 7 nights. 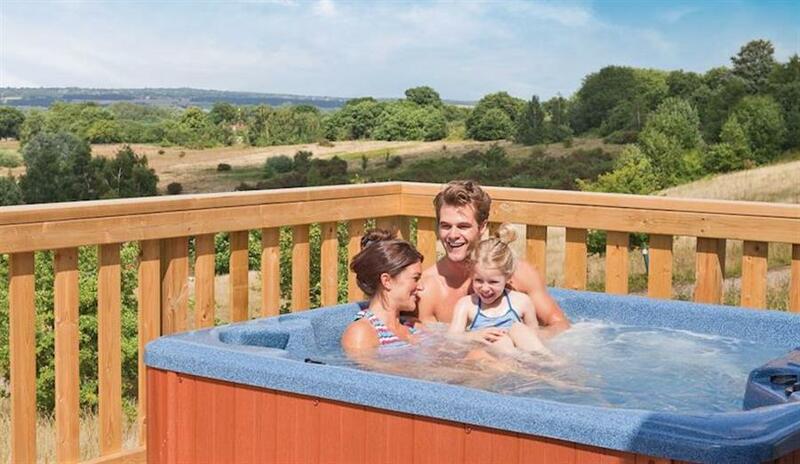 There are 48 holiday parks within 15 miles of Herbage Country Lodges. Orchard Cottage in Eye, Suffolk. 46 miles. Randall Cottage in Yalding, Kent, and sleeps 3 people. 36 miles. Diablo in Castle Hedingham, Essex, and sleeps 10 people. 18 miles. Five End Cottage in Chartham, Kent. 37 miles. Stowaways in Whitstable, Kent, and sleeps 5 people. 31 miles. Candy Cottage in Sittingbourne, Kent. 29 miles. The Grand Farmhouse in Dedham, Suffolk, and sleeps 22 people. 22 miles. Little Home Farm in Smeeth, Kent, and sleeps 12 people. 45 miles. Wingate Cottage in Sevenoaks, Kent, and sleeps 4 people. 31 miles. Whits End in Tankerton, Kent, and sleeps 6 people. 32 miles. Pebbles in Westgate-on-Sea, Kent, and sleeps 5 people. 40 miles. Haven Farm Cottage in Bury St Edmunds, Suffolk, and sleeps 4 people. 45 miles. Fromus Cottage in Snape, Suffolk, and sleeps 7 people. 49 miles. Navigation House in Harwich, Essex, and sleeps 10 people. 33 miles. Clay Cottage in Canterbury, Kent, and sleeps 6 people. 44 miles. Sandy Ridge in Holland-on-Sea, Essex, and sleeps 8 people. 27 miles. The Old Calf House in Chelmsford, Essex, and sleeps 6 people. 2 miles. Spring House in Burwell, Cambridgeshire. 39 miles. Burfields Barn in Diss, Suffolk, and sleeps 11 people. 44 miles. Castle Cottage in Orford, Suffolk. 47 miles. Waterlake Byre in Edenbridge, Kent, and sleeps 6 people. 41 miles. Earls Cottage in Maidstone, Kent, and sleeps 6 people. 33 miles. Brockford Railway Sidings in Stowmarket, Suffolk. 42 miles. Whitepost in Whitstable, Kent. 31 miles. The Farmhouse at Darling Buds Farm in Bethersden, Kent, and sleeps 10 people. 41 miles. Eldred House in Colchester, Essex, and sleeps 16 people. 14 miles. Blueberry Cottage in Monk Soham, Suffolk, and sleeps 5 people. 45 miles. The Lion Sleeps Tonight in Port Lympne Park, Kent, and sleeps-tonight-port-lympne-park-kent.asp">the people. 48 miles. Higham Farmhouse in Canterbury, Kent, and sleeps 12 people. 38 miles. Green Loanings in Crowborough, East Sussex, and sleeps 14 people. 49 miles. Coombe Wood Coach House in Hawkinge, Kent, and sleeps 9 people. 49 miles. Courtyard Cottage in Framlingham, Suffolk. 46 miles. Harbour View in Felixstowe, Suffolk, and sleeps 2 people. 38 miles. Finchcocks Coach House in Goudhurst, Kent, and sleeps 18 people. 44 miles. Hop House in Oad Street, Kent, and sleeps 14 people. 28 miles.